Prominent & Leading Manufacturer from Cuttack, we offer wooden pvc door, wooden door, architectural doors and wooden moulded panel doors. We offer Wooden PVC Door to our patrons which are made up of ultimate quality wood acquired from the most reliable vendors in the market. These products are manufactured by our highly trained craftsmen as per the industry standards. Our clients can avail these products at market leading prices. We are known in the market for our timely delivery. 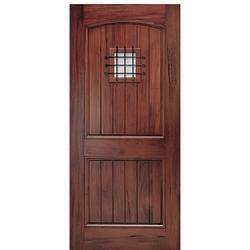 We are one of the prime manufacturer, supplier and trader of a qualitative array of Wooden Door. These products are treasured among our customers for its finest quality and ideal finish. These doors are widely used for in homes, offices and many other commercial places. These products are highly recommended in the market for its optimum quality. In order to meet the diverse requirements of our clients, we are engaged in offering a wide assortment of Architectural Doors to our valuable clients. 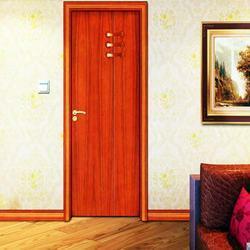 These doors are widely used in residential, commercial and industrial areas to provide protection of the establishment. 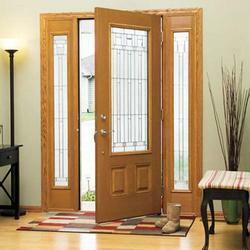 Moreover, the installation of these doors makes the interior & exterior of the place trendier. Our range is highly acclaimed for its durability, strong built and longer functional life. We are the foremost organization actively engaged in offering supreme quality Wooden Moulded Panel Doors. The vast acceptance of the products by demanding architects, builders & end consumers is a testimony to its unrelenting commitment to quality products & processes. Our offered doors are applicable for number of residential and commercial places as a security object. Clients can avail these doors from us in various specifications at affordable rates.